What makes us unique and different from other hotels is that our rooms are designed differently. Each room is a suite without the expensive price tag. You have a bedroom with an en-suite toilet, a family toilet and an extended lounge. We train our staff to ensure that they treat every guest specially – as though they are the most important person in the world. We listen, problem-solve and then act. Most of the time, our guests get what they request for. When we can’t solve the issue, we openly listen to feedback and act upon it if it is feasible given our resources and circumstances. If you have stayed with us before, there will rarely be a time when our staff won’t say “Welcome back” unless the receptionist is new! Oops! (But don’t worry, even then, we will inform the new receptionist if we are expecting you again). We train our staff to talk to guests, get to know them, have a conversation and make them feel at home. We want to provide that warm homely feeling. We are not a big brand hotel where you are just another guest. You will be greeted, smiled at by pretty much all the staff on the premises and you’ll probably bump into not just your room maid, but the owner as well! Whether you stay with us for a day or a month, we will never let you feel as though you are in a strange place far away from home. What makes us pretty special is our location. We are located only a 6 minutes stroll from Kampala road and the Central Business District. There are very few hotels located this close to the city center and we are proud to be one of those few. No matter where you intend to go, whether it is the Central Business District, whether it is one of the tourist attractions in Kampala, whether it is a bar in Kololo, we are strategically located such that you can get to all of these areas within minutes from our hotel by car. Traffic jams in Kampala are what nightmares are made of. If you have ever been stuck in one, you’ll know what we mean. If most of your time is to be spent in the city center, it is best you stay in the city center and cut time spent in traffic jams. Time saved will make for good TV time. Once you arrive at our hotel, you’ll quickly realize that our staff genuinely care about ensuring you have a good stay. They’ll ensure you settle in well and try to cater for any requests you may have as promptly as they can. 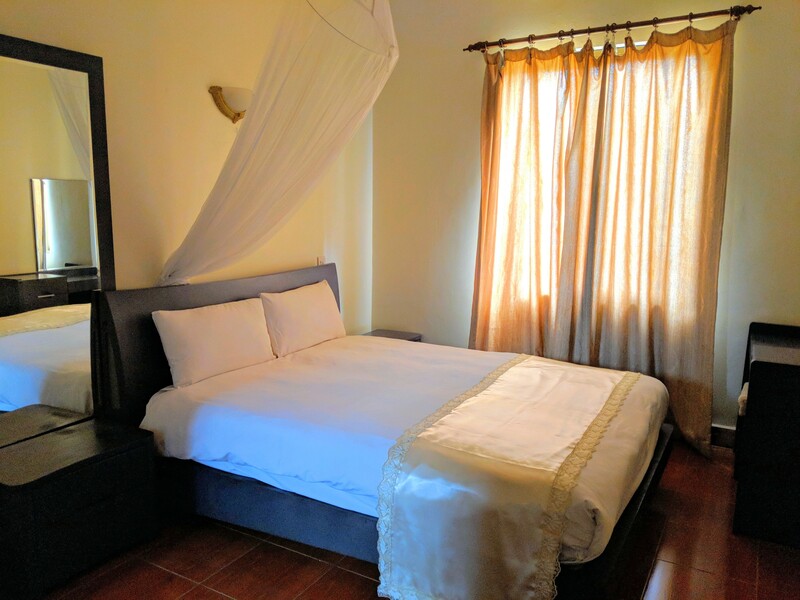 One thing that’s very special about our staff, which is hard to find in other hotels in Kampala, is that the staff will care for you just as well as the hotel owner would. Several of our staff have been with us for many years and feel attached to our hotel. They feel as though it is their own and will endeavour to cater for all your needs just like the owner would. The most important thing for us is feedback. We are always listening, learning and improving. It is a continuous process. We want to make your stay at Prestige Hotel Suites as comfortable as possible and will do everything in our power to ensure this is the case. If you have something to say to us, say it without hesitating at all. You can inform our reception, the manager or even send us an email at info@prestigehotelsuites.com. We will happily listen, take on your feedback/advice and try our best to improve where possible. So, if you are looking for a home away from home, where you won’t have to worry about a thing, where you can settle in without any awkwardness surrounding you, just feel free to come on down to Prestige Hotel Suites and experience our hospitality. We look forward to welcoming you.